The American Judicature Society will hold its 23rd National College on Judicial Conduct and Ethics in Chicago on October 23-25, 2013. The College will explore ethics and social media, disqualification, the role of public members on judicial conduct commissions, and other interesting topics. For more information, click here. In this paper, Roiphe & Green argue that the myth of the detached, rational judge, free from emotion runs the risk of undermining the quality of judging, obscuring the transparency of judicial decisions, and deterring the development of diverse judicial styles. The authors explore the history of the myth of the detached judge and how it made its way into rules of judicial conduct. By contextualizing this image of the judiciary, the article concludes that the rules of judicial conduct have come to embody an antiquated understanding of judicial independence and ought to be revised to reflect a more modern concept of the role of judges the American democratic system. Bruce A. Green & Rebecca Roiphe, Regulating Discourtesy on the Bench: A Study in the Evolution of Judicial Independence, 64 Ann. Surv. Am. L. 497 (2009). “Virtue jurisprudence” is a normative and explanatory theory of law that utilizes the resources of virtue ethics to answer the central questions of legal theory. The main focus of this essay is the development of a virtue-centered theory of judging. The exposition of the theory begins with exploration of defects in judicial character, such as corruption and incompetence. Next, an account of judicial virtue is introduced. This includes judicial wisdom, a form of phronesis, or sound practical judgment. A virtue-centered account of justice is defended against the argument that theories of fairness are prior to theories of justice. The centrality of virtue as a character trait can be drawn out by analyzing the virtue of justice into constituent elements. These include judicial impartiality (even-handed sympathy for those affected by adjudication) and judicial integrity (respect for the law and concern for its coherence). The essay argues that a virtue-centered theory accounts for the role that virtuous practical judgment plays in the application of rules to particular fact situations. Moreover, it contends that a virtue-centered theory of judging can best account for the phenomenon of lawful judicial disagreement. Finally, a virtue-centered approach best accounts for the practice of equity, departure from the rules based on the judge’s appreciation of the particular characteristics of individual fact situations. The fundamental value in judicial ethics is impartiality. This means that a judge is duty-bound to decide cases on their merits, be open to persuasion, and not influenced by improper considerations. The paradigm case of unethical behavior by a judge is taking a bribe to decide a case in favor of one of the parties. This kind of corruption, which is fortunately rare in many developed countries, is also relatively uninteresting from an intellectual point of view. A more difficult case of failure of impartiality, conceptually speaking, involves a judge who relies on extra-legal factors as the basis for a judicial decision. Making sense of judicial ethics therefore requires a distinction between factors a judge may take into account when rendering a decision, and those which are excluded from consideration. In American legal discourse, this distinction is often stated in terms of law vs. politics, where politics is used to mean any normative view that is not incorporated into the law. In contrast with legal decisions made by actors within the executive branch of government, in which policy and ideological factors may play a role, judicial decisions are supposed to be justified solely on the basis of legal reasons. . . .
More specifically, the paper will discuss two aspects of the law-politics distinction. First, principles of judicial impartiality must take a position on the existence of judicial discretion and the problem of legal interpretation. The second area of discussion is the justification for certain restrictions imposed on judges by positive law (rules of judicial conduct, statutes, and court rules) often misleadingly referred to as rules of judicial ethics. At least in the United States, many of these restrictions purport to regulate bias and the risk that judges will not be impartial. Courts applying the rules governing judicial conduct often regulate prophylactically, by disqualifying judges from presiding over certain types of cases, based on conduct that is taken to be evidence of bias. However, the discussion of the Hart/Dworkin debate shows that the political viewpoints of judges may necessarily influence the outcomes of cases. In Dworkin’s view, judging is inherently a political practice, because ascertaining the content of law is impossible without resort to normative political argument. In Hart’s view, by contrast, it is possible to ascertain the content of law empirically, but there may be a further normative question about the best way to prioritize or balance competing legal considerations. I believe the right approach to judicial ethics is to focus on the application side of the distinction between the content of law (which may or may not be susceptible of determination on the basis of social facts) and standards for its application. Where there are multiple plausible interpretations of existing cases, statutes, and other applicable legal norms, all we can reasonably expect is that a judge deliberate in good faith and reach the conclusion she believes represents the best reading of the governing law. The subject of judicial ethics is essentially an attempt to flesh out the idea of judging in good faith. That, I suggest, is fundamentally about being prepared to give reasons in justification of a judicial decision. Adjudication often stems from painful origins. Yet the process of interpreting pain has inspired virtually no commentary. By omitting pain-regard from their accounts of the “right-remedy gap”, scholars have been unable to account for cases that, (1) originate from an acute instance of suffering, and (2) involve a tension between competing legal principles, one militating in favor of redress, the other in favor of dismissal. The Article examines three such cases in detail: Snyder versus Phelps, Brown versus Plata, and Connick versus Thompson. The cases are experientially upsetting. They force the Court to contend with the limitations of its remedial capacity at the very moment when redress seems, because of the severity of pain, most urgent. The Article profiles the way different Justices respond to this condition and, from there, develops an account of judicial pain-regard. It concludes by arguing that in our legal order, defined as it is by irreconcilable but independently virtuous commitments, pain-regard is not only wise; it is necessary. This paper presents a questionnaire that is a work in progress. The questionnaire is designed primarily to assess lawyers’ perceptions of the procedural justice offered by judicialsettlement sessions in individual civil, non-family cases. The questionnaire may be used by: judges seeking confidential feedback on their management of settlement sessions; individual courts or court systems seeking systematic information regarding their judges’ settlement efforts; and larger empirical research projects. 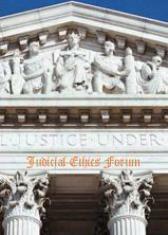 To explain the need for the questionnaire, the paper provides a brief contextual history of judicial settlement in the U.S., including the evolution of relevant rules of civil procedure and judicial ethics provisions and the current state of judicial performance evaluation. Because the logic of the questionnaire is grounded in procedural justice, the paper also examines the procedural elements that most reliably lead to perceptions of procedural fairness: the opportunity for voice; respectful treatment from the decision-maker; even-handed treatment by the decision-maker and neutrality of the forum; and trustworthy consideration from the decision-maker. The questionnaire is designed to expand upon the current state of knowledge regarding the procedural justice provided by judicial settlement by asking questions designed to identify: 1) the concrete judicial actions that occur during settlement sessions; 2) the relationship between these concrete actions and lawyers’ (and clients’) perceptions of procedural and substantive justice; and 3) the influence of certain contextual factors upon such perceptions (e.g., whether the settlement judge is the presiding judge, whether thejudicial action occurred in joint session or caucus, and whether the parties suggested or requested the settlement session). The lawyer questionnaire is the first of a planned set of questionnaires on judicial settlement that will also include questionnaires for clients and judges. Nancy Welsh et al., The Application of Procedural Justice Research to Judicial Actions and Techniques in Settlement Sessions. The “reasonable apprehension of bias” test for judicial disqualification has been a fixture of Canadian law for many years, despite a considerable amount of litigation concerning judicial impartiality. The test itself has remained fundamentally unaltered and is well accepted in the jurisprudence. Unfortunately, the application of the test continues to generate difficulties for judges who need to use it to make decisions in marginal cases. Based on previously published doctrinal and empirical research, our goal in the present paper is to suggest modifications to the test that will better explain the existing jurisprudence and make it easier for judges to understand when recusal is or is not necessary in marginal cases. We begin considering the advantages of and suggest that in order to be useful, any refinement to the test must to the greatest extent possible preserve those advantages. In the second part of the paper we consider why inconsistent application of the test in marginal cases is a concern. This is followed by a more detailed consideration of the ways in which the existing test, and the jurisprudence explaining and applying it, are problematic. The fourth part of the paper proposes a modification to the “reasonable apprehension of bias” test that is designed to address these shortcomings while preserving the key advantages of the existing test. Jula Hughes & Philip Bryden, Refining the Reasonable Apprehension of Bias Test: Providing Judges Better Tools for Addressing Judicial Disqualification, 36 Dalhousie L.J. (forthcoming 2013) (including references to an interesting survey of Canadian judges’ recusal preferences and practices). This article considers how Japanese judges have articulated the meaning of fairness in judicial decisions. The provisions in Japan’s Code of Civil Procedure, which provide for disqualification of judges and for direct party challenges to judges’ involvement in cases, explicitly require judges to weigh the fairness of the justice process in the particular circumstances of the cases before them. These cases provide a unique window for understanding the meaning of fairness, or what U.S. scholars might call due process, in Japanese jurisprudence. In fact, the meaning of fairness has earned little explanation from Japan’s judges in their formal jurisprudential voice. Research uncovered only ten published case decisions under the current Constitution and Code of Civil Procedure that address the standards here. In all but one, the results were denials of the petitions and refusals to remove the judge. Early decisions, in particular, demonstrated a narrow acknowledgement of the potential for bias and were resolved via a formalistic reasoning that paid little regard for public perceptions. While the record of judicial disqualification and challenge cases shows a history of harsh determinations in the early post-war years in Japan, more recent decisions emerging in the context of the massive changes to Japan’s justice system since 2001 suggest that judicial system reform has had a modest, but positive impact with regards to the quality of procedural justice available to civil litigants in Japan. In particular, an April 2011 decision by the Japanese Supreme Court’s Second Petty Bench, which clearly acknowledges a requirement of due process in civil procedure, offers optimism for further improvement in years ahead. Mark Levin, Circumstances that Would Prejudice Impartiality: The Meaning of Fairness in Japanese Jurisprudence, Hastings International & Comparative L. Rev. (forthcoming 2013). The ABA Model Code of Judicial Conduct and the judicial codes of conduct in nearly every jurisdiction admonish judges to avoid the appearance of impropriety. The North Carolina Code of Judicial Conduct likewise contained a similar prohibition until 2003, when the North Carolina Supreme Court removed the language and made related amendments to the Code. Although North Carolina is clearly an outlier in this regard, two questions remain: first, whether North Carolina judges are still required to consider appearances in performing their duties; and second, whether judicial codes of conduct should proscribe such a standard at all. To answer this latter question, this Article draws upon the social psychology theories of cognitive bias and procedural justice. These two theories work together to impact how judges arrive at decisions and how litigants will perceive and respond to those decisions. Both theories militate in favor of including a robust appearance standard in a judicial code of conduct. Moreover, the changes to the North Carolina Code in 2003 simultaneously exacerbated the negative effects of cognitive bias and decreased litigants’ perceptions of procedural justice in state courts. But reinstating the appearance of impropriety language to the North Carolina Code alone will not fully ensure judicial propriety, or even the appearance of propriety. Thus, this Article illustrates how an understanding of cognitive bias and procedural justice can inform the introduction of other reforms, using the issue of judicial involvement in plea bargaining and sentencing as an example of how these theories may be applied. Jon P. McClanahan, Restoring the Appearance of Propriety to the Judiciary, N.C. L. Rev. (forthcoming 2013). For Justices of the U.S. Supreme Court, controversies pitting personal conflicts — whether actual or merely alleged — against the constitutional commitment to the rule of law increasingly form the basis of a caustic and circular national dialogue that generates substantially more heat than light. While the profile of these controversies is undoubtedly waxing, the underlying tensions stretch back at least to Marbury v. Madison. . . . The exploration serves as a navigational guide to the difficult but necessary task of separating the shrill cries from the serious constitutional concern of genuine Supreme Court conflict. The Article situates the analysis of Supreme Court disqualification practice, and particularly the circumstances involving Justices Thomas and Kagan vis-a`-vis the Patient Protection and Affordable Care Act, within the broader, enduring legal dichotomy of rules as opposed to standards. Pointing to Chief Justice Roberts’s recent, relatively bare assertion that when it comes to disqualification, the Supreme Court is simply constitution- ally and pragmatically different, the Article asserts that while the Chief Justice’s argument is neither emotionally nor intellectually satisfying, in an imperfect world, his argument is also entirely correct. . . .
James Sample, Supreme Court Recusal from Marbury to the Modern Day, 26 Geo. J. Legal Ethics 95 (2013). Social media use is fraught with peril for all users, but more so for judges as it complicates both their personal lives and judicial roles. A judge cannot be a casual user of social media and must be willing to take whatever steps are necessary to comply with the code of judicial conduct. Each judge will have to decide for himself or herself if the benefits of online social media outweigh the inevitable risks and constant vigilance.